More Music. Fewer Interruptions. Just what you want to hear. Talk about what's in the news Listen Live - New FREE Internet Radio Stations - We Are Philadelphia! Listen Live - New FREE Internet Radio Stations - We Are Philadelphia! Philadelphia Police are searching for a woman who is wanted for allegedly abducting and robbing another woman in the Summerdale section of Philadelphia. The incident took place at a parking lot located on the 4600 block of Roosevelt Boulevard at around 7:45 pm. Police say the suspect walked up to the victim with a knife out and forced herself into the victim's car. The suspect then forced the victim to drive to a local ATM to withdraw money. Once the money was taken from the machine, the suspect took off on foot. Anyone with information is asked to contact Police. Police have now made an arrest in the hit and run case of a tow truck driver who was stuck on the Schuylkill Expressway on Sunday. 32-year-old Emanuel Doxy was arrested at his home on Monday. 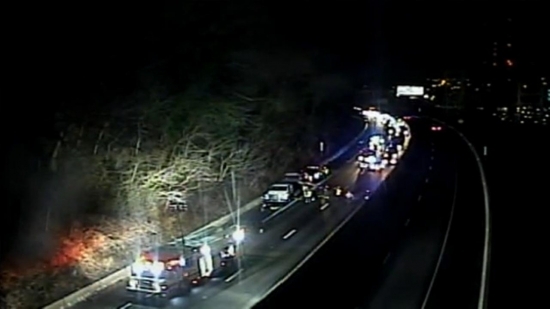 Police say that on Sunday, 35-year-old Michael House was assisting a disabled vehicle in the eastbound lanes of the Schuylkill Expressway in Lower Merion Township when he was struck by Doxy's vehicle. Doxy continued to drive after hitting House, but luckily they were able to get a detailed description of the car from a witness. Police found the car with damage that was "consistent with the crash." Doxy was taken into custody without incident. Philadelphia Police are searching for a gunman who is wanted for opening fire on a car parked at a hotel in the Wynnfield Heights section of Philadelphia. The shooting took place at the Hilton Hotel located on the corner of City Avenue and Stout Road at around 8:30 am on Sunday. Investigators say that a car was shot drive by style as it was parked in the carport. Police say that the estimated seven bullets that were fired at the car, ricocheted off, and ended up embedded in the hotel's glass doors. The suspect in the vehicle continued down Stout Road. So far no injuries have been reported. Anyone with information is asked to contact Philadelphia Police. Today, Light snow in the morning, turning to light rain with a high of 39 degrees in Center City. Welcome! Start listening now for FREE! The music is always on, so choose a radio station and click to listen. You can find fun Events around Philly and you can list yours on our Events page FREE. We will also promote cool Philly shows, events and fundraisers on the air FREE. There are also great opportunities to become a sponsor or advertise. iRadioPhilly supports the Philadelphia music and arts scene. If you are a local musician or performer, send us your stuff. We will play it on our BYO radio station, Philadelphia's Local Stage. We're designing the radio stations and iradiophilly to reflect Philadelphia's music tastes, so we'll want your input. We're glad you're here. Invite your friends.